Does your work space less comfortable? And you cannot enjoy your working time properly? Pay attention to this serious problem. If you do not enjoy the space in which you operate your business, your employees also do not enjoy the place. And if your employees do not like the space in which they work, it has a direct impact on your productivity and your ability to create a successful business. The actual research reveals it is important to invest in a strategic and beautiful office design to motivate and inspire your employees. But how can you design an inspiring office space? Use office colors strategically, because people’s psychological change when exposed to a certain color. For example, red can get employees excited about where they work, while blue and green can communicate feelings of relaxation, hope, and calm. The designated lounge space with comfortable seating such as coffee shops or cafes allows the body and mind to rest, which increases productivity and focus in the workplace. People who use the shared workspace every day or several days of the week feel like they are part of the community and see their work something meaningful. This will increase the productivity of the workers themselves. 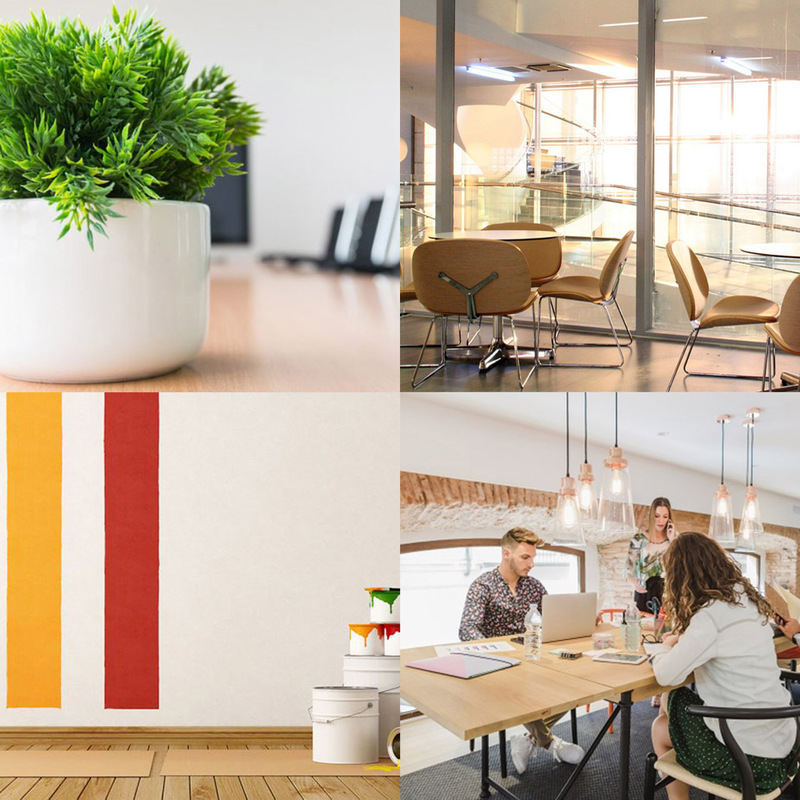 Add a plant which can used in offices to improve the aesthetics of the workspace and air quality. This plant will also help the workers to think more calm and relaxed.